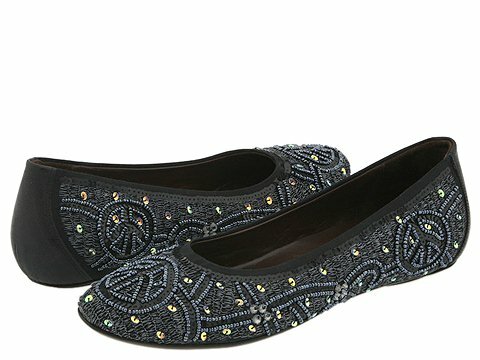 This adorable flat with all-over sequin detailing gives peace a chance! ; Made of suede and leather. Featuring a low built-in wedge and leather lining for comfort. Non-skid sole. Donald J. Pliner will donate $2.50 to the Peace for the Children Foundation for the sale of any shoe or handbag decorated with a peace symbol. Made in Italy.